When Kermit Gosnell was sentenced to three life terms for killing at least one mom and snipping the necks of who-knows-how-many babies, Planned Parenthood tweeted that "justice had been done." But apparently, it's justice they don't want anyone talking about. Five years ago, the case had all the makings of a riveting courtroom drama. The man on trial was charged with serially murdering children and at least one mom in a filthy, blood-splattered horror house near Philadelphia. A real-life monster, he preyed on his victims as a doctor, then stashed parts of their bodies in a basement freezer, jars, or cat-food containers. He tried grinding the pieces down garbage disposals or flushing them down toilets. It was a scene that Philadelphia's District Attorney Seth Williams said "comprehension of the English language doesn't and cannot adequately describe." Normally, the media would be tripping over themselves to report every grisly detail. But as the gruesome testimonies spilled out, the bright lights of the network cameras were nowhere to be found. And the keyboards of reporters, who race to recount the nightmarish details of every other tragedy, fell silent. It wasn't because the story lacked jaw-dropping revelations. Sherry West, who had been with the office for years, told the court about a screaming baby that had been born in the clinic and then murdered. 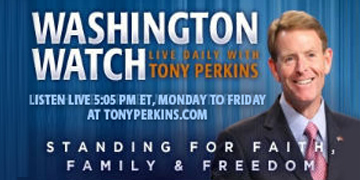 Steven Massof, who was also hired by Gosnell, sent shivers down people's spines when he described the busy times: "It would rain fetuses. Fetuses and blood all over the place." In those moments, Massof confessed, "I felt like a fireman in hell. I couldn't put out all the fires." "The killings became so routine," an employee admitted, "that no one could put an exact number on them. They were considered 'standard procedure.'" But what's also become standard procedure in the half-decade since Gosnell's conviction is for the media to pretend it never happened. The Left ignored the story then – and they want to ignore now. Hopefully, that will be a lot harder, thanks to the producers of Gosnell: The Trial of America's Biggest Serial Killer. Despite four years of roadblocks -- from censorship to outright intolerance -- the film has survived its share of adversity. When Kickstarter refused to let the movie raise money on its site, they took their project to Indiegogo -- and broke a crowdfunding record in the process. This past August, the hurdles only got higher. Executive Producer John Sullivan approached about buying airtime, only to be told that the ad was too conservative. Calling Gosnell an "abortionist," they said, was a violation of their "value-neutral" policy. When Sullivan offered to change it to "abortion doctor," executives refused a second time. Gosnell had to be a "doctor" -- or no deal. Now, the same organization that insisted Gosnell got what he deserved is doing everything they can to keep his story from being told. In Austin, the local Planned Parenthood is so afraid of people learning the truth about their industry that they bullied the local Hyatt Regency Hotel into canceling a screening of the film. Why? Because it coincided with Planned Parenthood's $400-a-plate fundraising gala. According to Sullivan, the producers had more than 250 people registered only to be told the event was viewed as a "security" risk. How ironic. If anyone's a security risk, it's the group killing 881 babies a day! Of course, no one should be surprised at Planned Parenthood's pathetic attempt to shut the movie down. They're probably afraid more Americans will make the connection between Gosnell's barbarism and their support for procedures just like it. After all, if the group really wanted to spare women from these horrors, they'd fight for tougher clinic regulations. Instead, they've spent the last two decades trying to stop doctors from helping born-alive babies. Obviously, like Gosnell, they only believe "wanted" children have rights. That would certainly explain why Planned Parenthood knew about Gosnell's slaughterhouse and did nothing. For years, women and children suffered at the hands of this monster only to find out that Planned Parenthood could have stopped it -- and didn't. And this is the kind of organization we entrust with more than a half-billion taxpayer dollars? One that's silent on abuse -- and too concerned about profits to care about patients? "If Planned Parenthood thinks what Gosnell did was 'appalling'" -- at least publicly -- "what do they call their own facilities' dangerous, unsanitary conditions and practices of infanticide?" Students for Life asked. In the end, the only way to stop this nightmare is to expose it. The producers of Gosnell did their part. Now it's up to us. On October 12, go see the movie that the abortion industry doesn't want you to see! 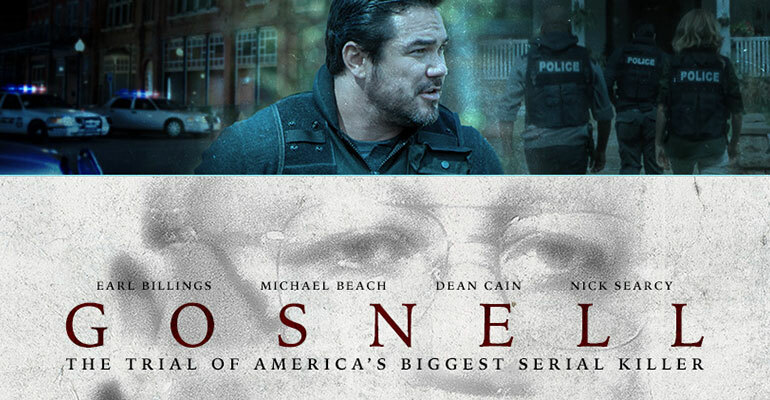 In the meantime, check out what Gosnell's stars -- including Dean Cain -- had to say at VVS about the powerful story behind the film in the panel below. And take a minute to contact the Hyatt Regency in Austin (@Hyatt) and let them know that if they really believed in choice, they'd give audiences one!